Sardinia is an area for an experienced crew with a powerful West to North Westerly blasting along the West coast. A South to South Easterly prevails along the East coast. We wouldn’t recommend this sailing to complete beginners unless you go for a skippered charter holiday. Once you've arrived at Portiisco, just a short transfer from the airport, you'll be met by the base staff. They will help you check in before a comprehensive boat briefing after which you're free to relax and start your holiday! We suggest an well-earned waterside beer after a long days travelling. On your first day, we recommend easing into things with a nice short sail down the coastline, to Marinella. Here you'll find a great beach where you can do diving and watersports. From Marinella a it is a good sail is over to the island of Tavolara. It's quite a spectacular sight to see. From the sea the island looks like a huge limestone rock rising up out of the sea. There are some lovely beaches and ports here to moor up in. Due to its beauty there are restrictions on development maintaining it as an untouched gem. From Tavolara a short sail back to the mainland takes you to the Golf Aranci. This gulf's name comes from the crabs that are found in the area and there are some stunning beaches to explore where you can go scuba diving. As well as this, the enchanting Cala Moresca pine forest which is a short walk from the port is worth exploring and if you have time the remains of the Sacred Well of Milis is also worth a look. 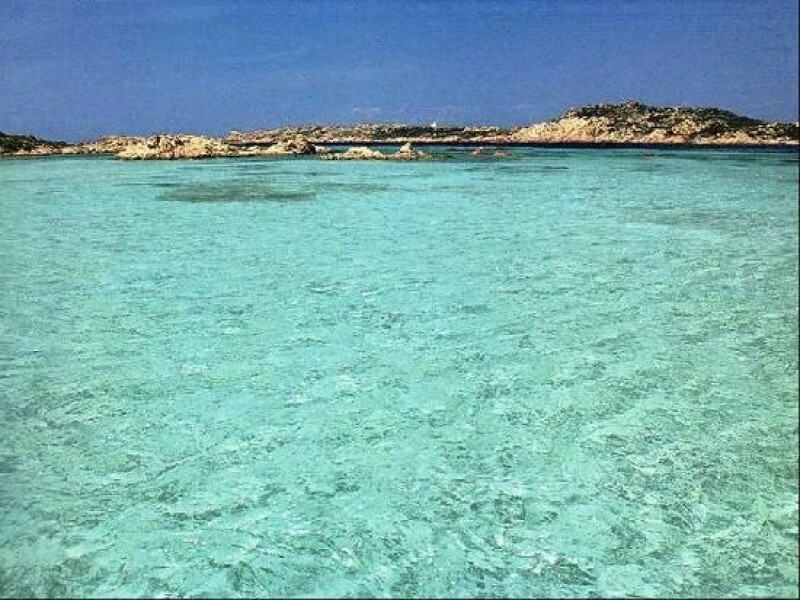 From Golf Aranci why not then head up to the Maddalena Islands, this is around a 20-25mile sail and on the way you'll see some stunning Sardinian coastline. 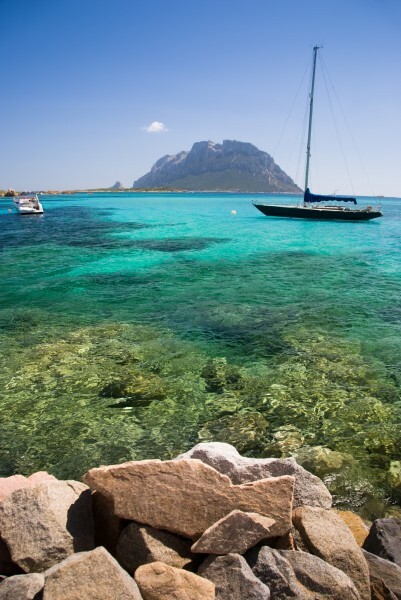 The Maddalena Islands are the main attraction for the Sardinian sailors and it's not hard to see why. With their untouched beauty clear to see we suggest you stop at a few of the islands here on the west side of the archipelago. Starting at Spiaggi I due Mare which can be found on the island of Caprera, one of the southernmost islands in the group. 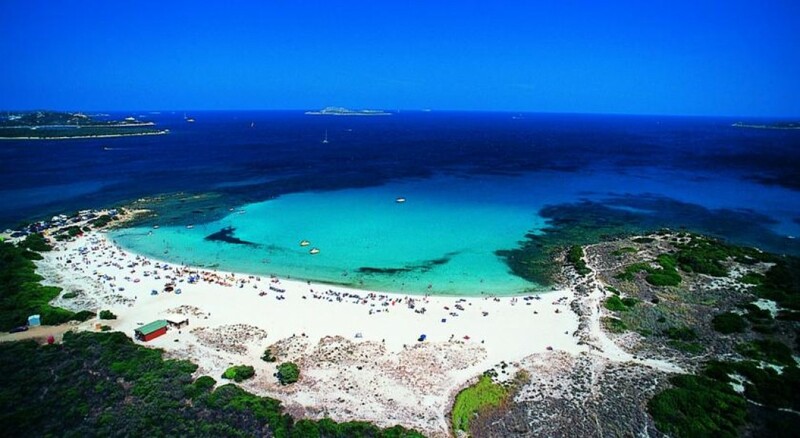 This is a great starting point from the Sardinian mainland and here you'll find a unique beach that has sea on two sides and therefore is named the beach of two seas. The waters vary from emerald green to clear blue depending on the time of day. Following on from Caprera head north to Spalmatore. The beach here is the main attraction with pink rocks surrounding it and lovely white sand in between. From Spalmatore a short hop further north to Santa Maria is a great next days sail. The old town here is lined with olive trees and contrasts starkly to the modern marina which was only built in 1998. The porphyry rocks here that surround the beach are quite stunning due to their orangey red shade. 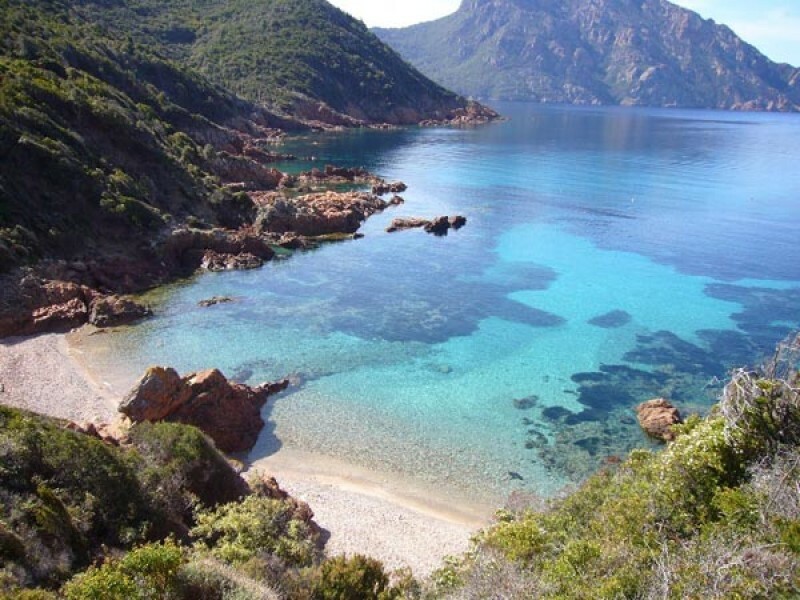 From the picturesque Maddalena islands if you fancy it why not make the sail up to Corsica and explore some of the french influences that the island has to offer. It's about a 25-30 mile sail to Porto Vecchio from the Maddalena Islands and its well worth the trip. Porto Vecchio is known as the St Tropez of Corsica and with its vibrant cafes, designer boutiques and well-equipped marina we can see why. This town manages to mix both idyllic unspoilt beaches with its breathtaking mountainous backdrop. 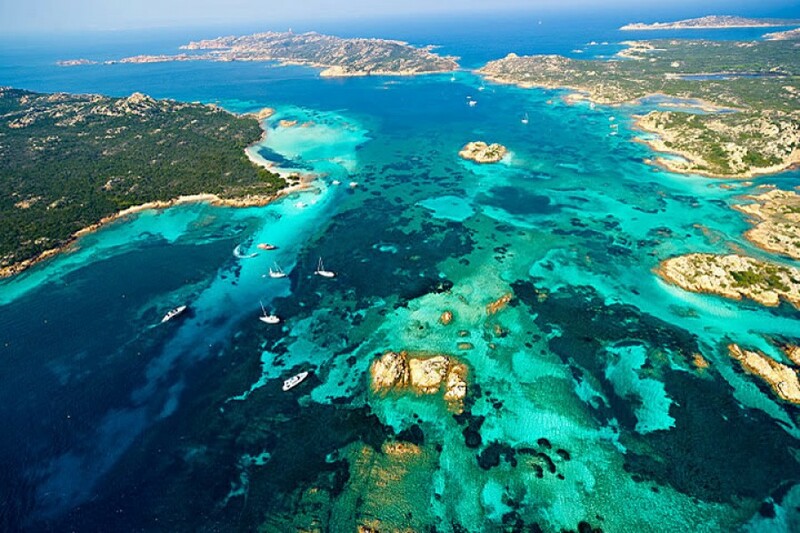 Once you've had your fill of chic Porto Vecchio sail south down to Bonifacio. This town is right on the southern tip of Corsica and here you can sit back and relax in a cafe listening to the french speaking locals as they pass by you. You might also know this place due to it being the setting for the famous film V for Vendetta. 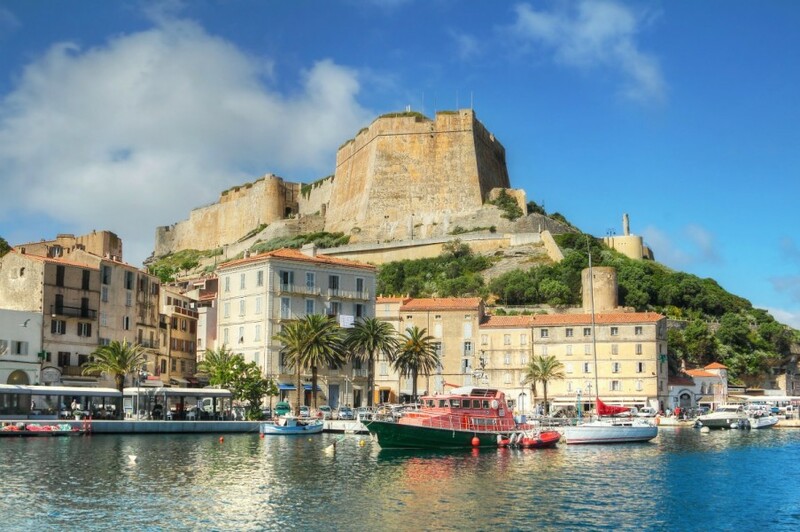 From the french towns of Corsica you can head back south to Sardinia and explore the western islands in the Maddalena archipelago, starting in Spargi. Spargi is is part of the Maddalena National Park and there are lots of protected species of birds here that live amongst the vegetation. There are also some remains of Roman shipwrecks to explore in the Maritime Museum there. After Spargi a nice short sail is to Palau on the mainland. Palau is one of the most noteworthy seaside towns on the Emerald Coast. 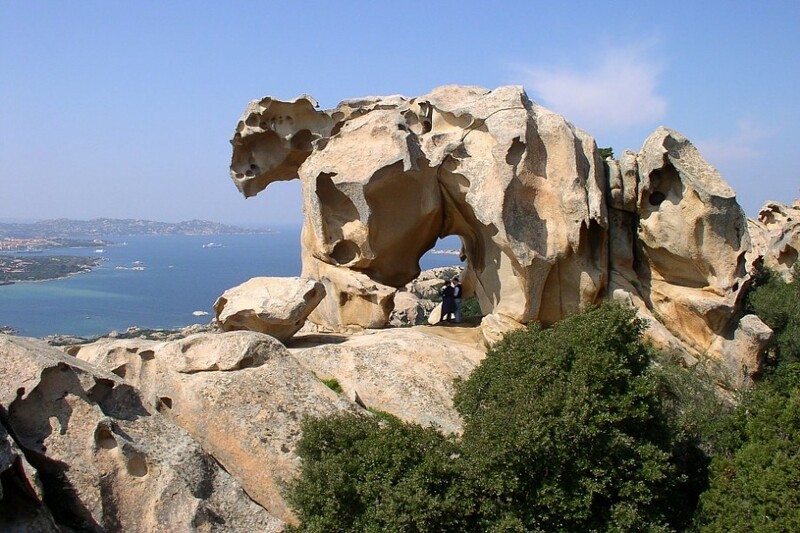 Its artistic looking coastlines are shaped by the wind and perhaps the most famous part of the coastline is the dell'Orso which is a rock that looks very similar to a bear, quite a sight! Palau is also a mecca for watersports, from windsurfing to diving you can do it all here. After Palau why not pop back over to the Maddalena islands one last time and head to Maddalena itself. The town here is buzzing with activities and nightlife but there are also plenty of quiet corners of the island you can discover too. 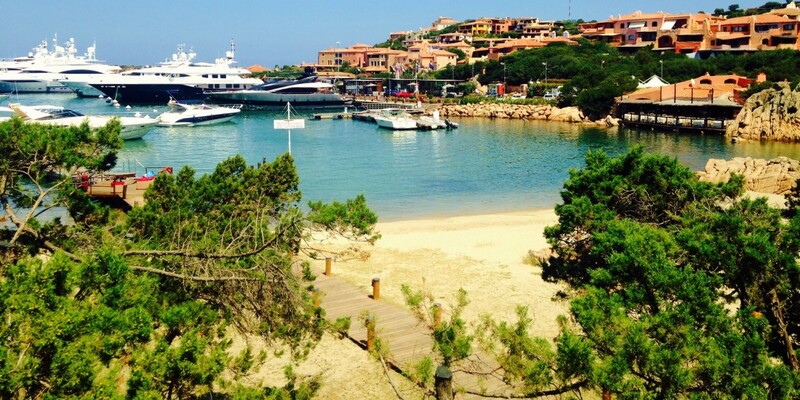 Porto Cervo has to be your last stop before heading back to Portisco. The town attracts celebrities by the bucket full in summer with their super yachts visibly anchored out from the harbour. If it's exclusive champagne bars and designer boutiques you're after then Porto Cervo is a great stop, and don't worry you can still find some reasonably priced places to eat and drink mixed in with the garages filled with Rolls Royces and the Harrods boutique! After Porto Cervo it's time to head back to base, the sail back to Portisco is a lovely last sail and not a long one at that. Most charter companies expect you to be back in the marina between 4-6pm giving you one last evening to enjoy a true Sardinian feast!